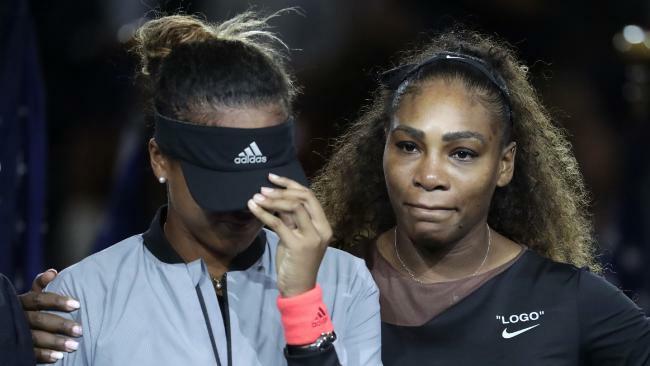 AUSTRALIAN tennis legend Todd Woodbridge has called for players to unite around Serena Williams and demand a change to the rules, particularly around coaching. The coaching rule has been in as intense a spotlight as Williams has been since chair umpire Carlos Ramos caught her coach, Patrick Mouratoglou, gesturing for Williams to push up to the net during the early stages of the second set of the US Open final. The coaching violation isn't allowed during any men's matches but is permitted on the women's tour except in grand slam tournaments. It shows a major disparity between bodies running tennis, including the ATP men's tour, WTA women's tour, Grand Slam tournaments and lower-level events. Speaking to the Wide World of Sports, Woodbridge, a 22-time double grand slam champion, said it would come down to the player to demand change. 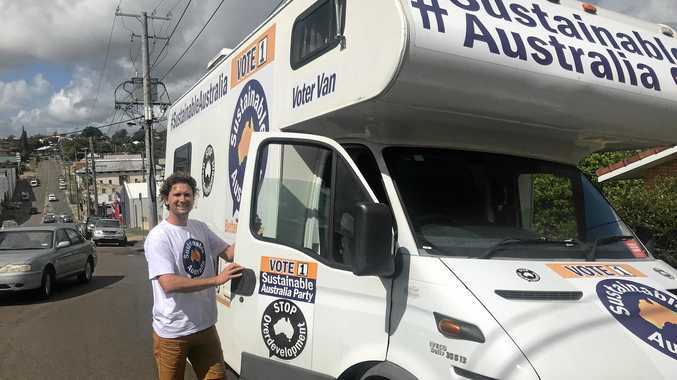 "It's the players' voice that can really drive it. I think it's an opportunity now for them to speak up on those technical issues like coaching - do they want it? Let's get consensus from the locker room," Woodbridge said. "The leaders in the sport are the players, they have the opportunity to grow it, they're the ones who bring in the dollars that make it work. So, you've got your four grand slams and you've got your ATP and WTA that need to join forces." 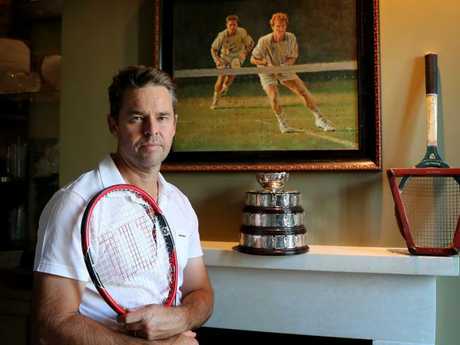 Australian Tennis great Todd Woodbridge calls for tennis players to unite for rule changes. During the final, where Williams conceded three code violations, the 23-time Grand Slam champion levelled claims of sexism at the organisers. "Because I'm a woman you're going to do this to me," she said. After the match, Williams, playing in her third Grand Slam since giving birth to her daughter last September, took a more measured perspective on whether tournament officials had targeted her in an event she had won six times. "Sometimes it might seem like things always happen, but you just kind of have to try to realise that it's coincidence. Maybe it's coincidence," Williams said. She then doubled down on sexism claims in the post-match press conference. "I've seen other men call other umpires several things," she said. Although her coach admitted to coaching during the game in an interview with ESPN, he also called for change, although his message might have been drowned out at the time. "Yes, I was coaching just like everybody else," he said. "We have to stop this hypocrisy. Furthermore, Serena didn't even see my gestures. She felt humiliated by the warning." Tennis legend Billie Jean King tweeted at the time that coaching should be allowed, which would avoid this issue. However, she also argued Williams was in the wrong in an interview on CNN on Tuesday. "No one was saying she was a good sport, if they are they're crazy," she said. "The point is he (Ramos) aggravated the situation, instead of 'I'm not attacking your character', which is the most important thing he could have said." Woodbridge said nothing would change in regards to coaching and rule inconsistencies until the different strands of tennis came together to lead a united sport forward. "It comes down to all the governing bodies getting into a room and sitting together to lead the sport into the right direction and that would take them to leave all their individual agendas to the side," he said to Wide World of Sports. "We need to have continuity between the men's game, the women's game and the grand slams. At the moment we don't have that." Meanwhile, Ramos, the umpire at the centre of the controversy, told the Associated Press he is "just focusing on this tie and working again". He is working the Davis Cup tie between Croatia and the US in Croatia. The USTA originally backed Williams, declaring the umpire had "double standards" but apologised to the umpire later in the week.